Christmas is a time of giving and the San Pedro Cadet Corps have taken on the task to give back to their community. 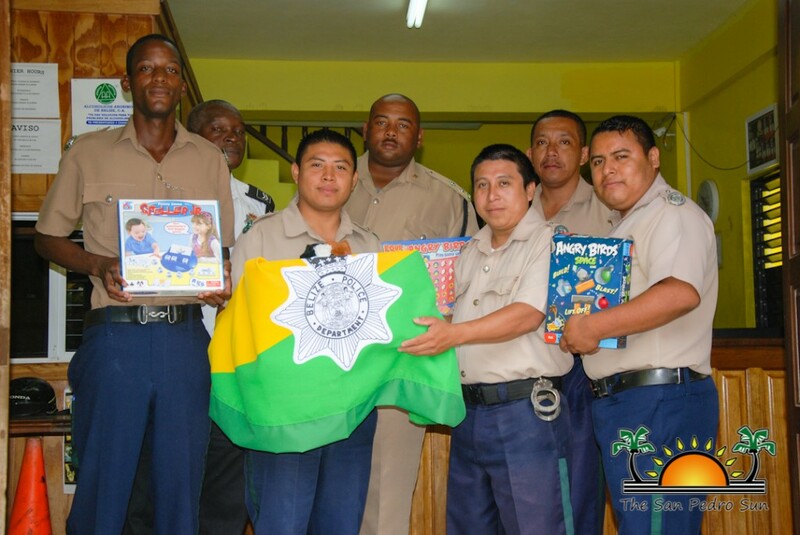 Your help is needed to help the Cadets meet their goal of giving back to the less fortunate residents of Ambergris Caye. This year, the Cadets in collaboration with the San Pedro Police Department, are conducting a Christmas Drive to collect items that will be distribute to underprivileged families just in time for the Christmas Holidays. According to Deputy in Charge of the San Pedro Police, Inspector Henry Jemmott, the aim of the drive is to give back to the community and spread Christmas cheer. Police are asking the community to donate anything from non-perishable food items, to clothes and toys. “We are asking the community to give what they can. These items will be sorted and packaged to be given to families. Not everyone living on the island is privileged to receive gifts for Christmas. To those families who don’t, we want to give them something so that they feel like the community supports them. After all, the true meaning of Christmas is to share in love, joy and hope, not only with your respective families, but with the community in general,” said Inspector Jemmott. The families that will be benefiting are from the San Mateo, San Juan, San Pedrito and DFC Areas. Items can be dropped off at the San Pedro Police Station on Pescador Drive, or call 206-2022 for pick up. Deadline for donations is Friday, December 19th. The items will be distributed by the Cadets and police on Monday, December 22nd. The San Pedro Police would like to take the time to thank all those that have already made generous donations towards their Christmas Drive.